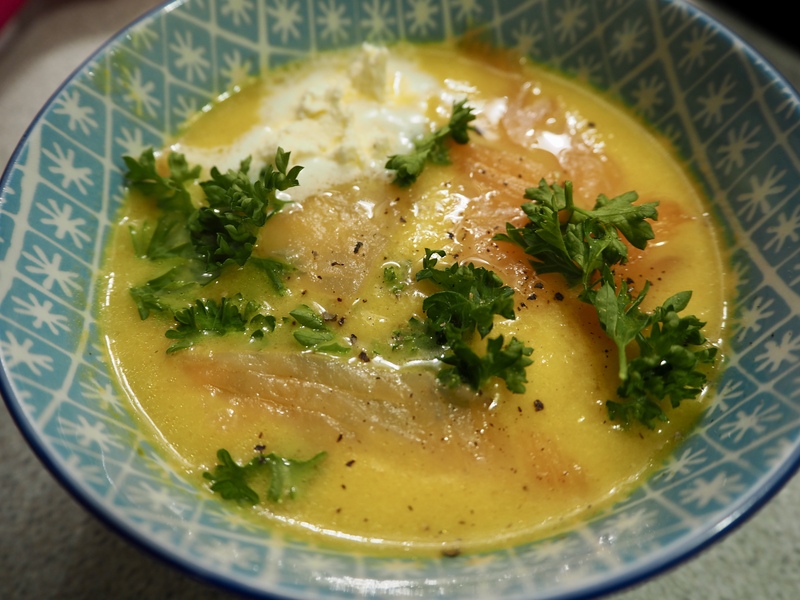 This soup is a recipe I’ve been wanting to try for a really long time. It’s one that I’ve only ever seen in Switzerland – most recently at a friend’s wedding – and it’s an absolutely dreamy concoction. It’s slightly frothy, with lovely light flavours, and feels wonderfully luxurious. It will definitely impress your friends, and it’s not at all difficult to make! I found the recipe online here, but for those of you who don’t speak German, the translation is below. PS. 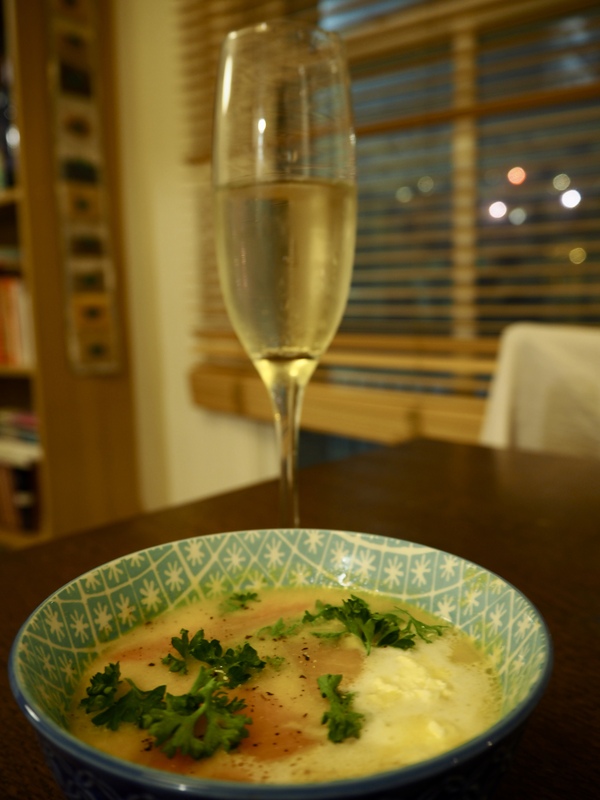 The best part about this soup is that you get to drink the leftover Prosecco with it…! 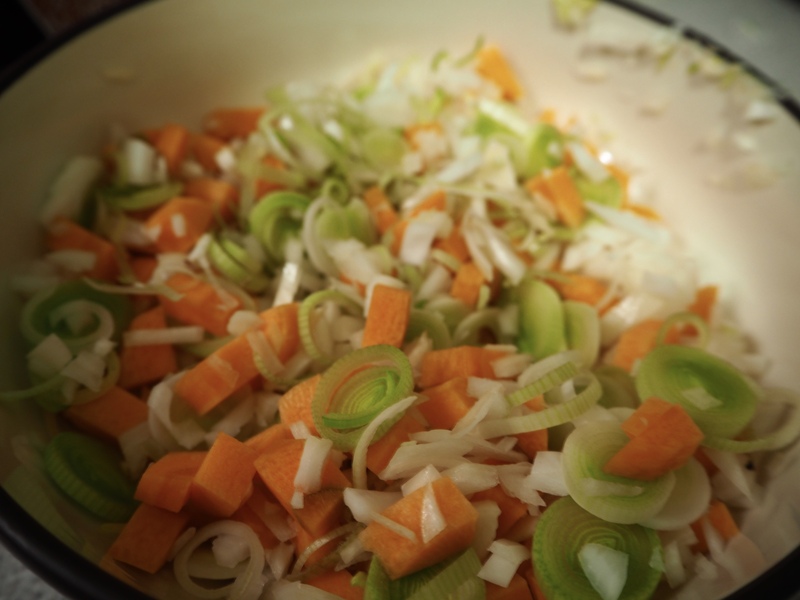 Melt the butter in a saucepan and sweat the onion, leek, and carrot on medium heat for around five minutes. 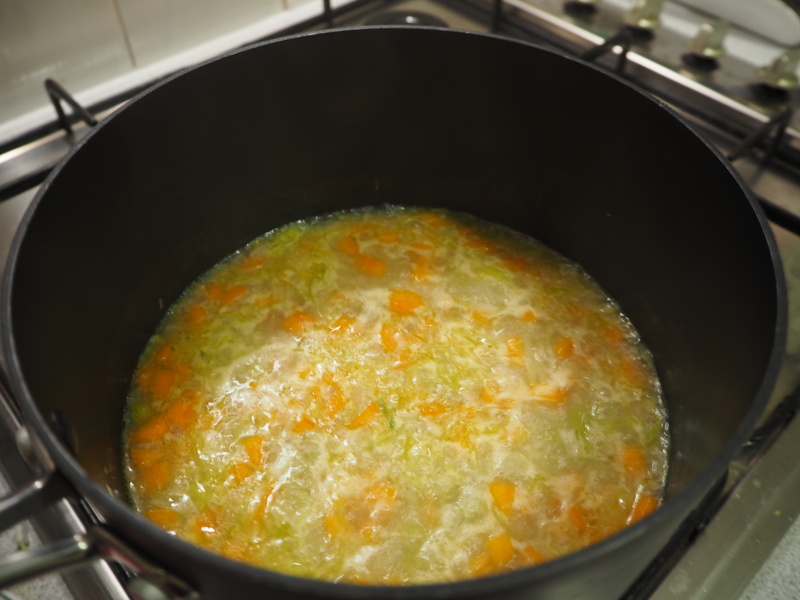 In a separate jug or bowl, mix the stock with the flour, and then add to the saucepan. Cover and let simmer for around 20 minutes. 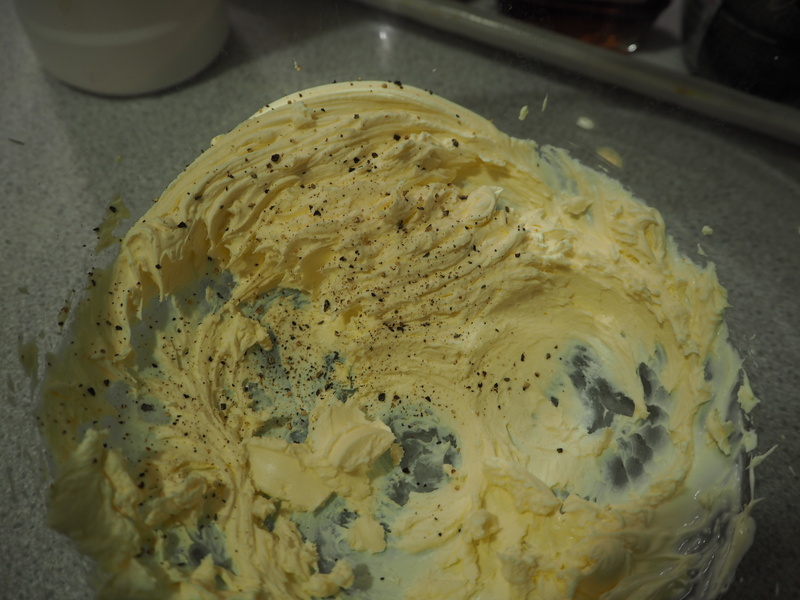 In the meantime, whip the cream and then add salt and pepper. Keep aside. Take the parsley leaves off the stems, chop them, and cut the smoked salmon into small pieces. Blend the soup (either using a stick or standing blender) and then stir in half the whipped cream. Season with salt and pepper to taste. Just before serving, bring the soup to a simmer and then pour in the Prosecco. Leave for one minute, no longer, and then serve in small bowls, garnishing with the smoked salmon, a dollop of the whipped cream, some freshly ground black pepper, and parsley. Serve immediately, with fresh bread and a glass of Prosecco. Enjoy!